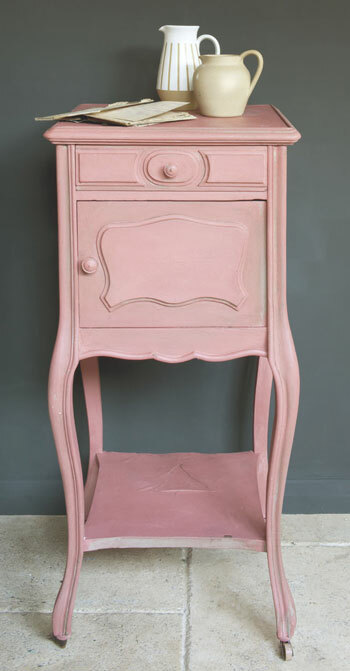 One of the traditional colours found in much Swedish furniture we use it underneath and as a colour for interiors of cupboards and drawers. 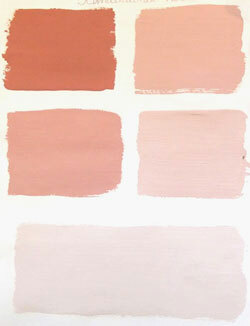 A pretty combination is Scandinavian Pink as a base wirh Old Ochre on top . Along the moulding of this sample there is some Old White which lifts the whole effect.